If you're in Cape Town and if you have any affinity towards birds, then one of the places you really should visit is World of Birds in Hout Bay. A sanctuary for injured birds and breeding ground for endangered species, World of Birds is the largest bird park in South Africa and indeed one of the largest in the world. 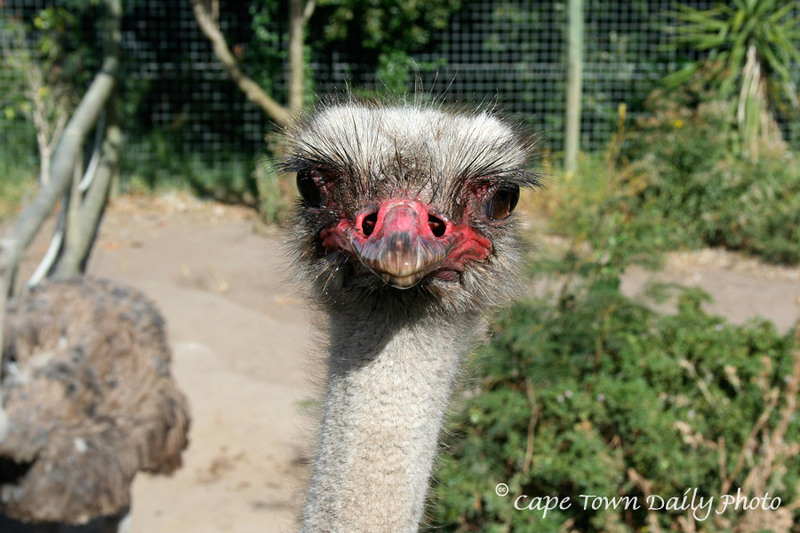 This photo of Olivia the ostrich was taken by Jacques Marneweck just before she blew him a kiss. Ostriches really are funny animals. Thanks, Jacques! See World of Birds from the air on WikiMapia. Posted in General on Saturday, 15 December, 2007 by Paul.